Where is the Juno was the question roaming since few months the time it started its travel. 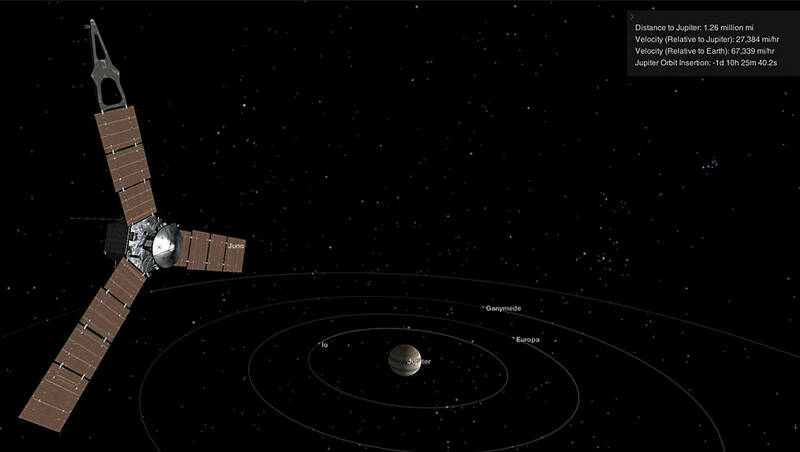 Now Juno has reached the destination Jupiter. After almost five years of its journey to the solar system’s largest planet NASA’s spacecraft Juno finally entered the Jupiter’s orbit during a 35 minute engine burn as per NASA and the final confirmation had completed and was received on Earth at 8.53 p.m. PDT July 4 Monday (11:53 p.m. EDT). Independence Day is the day we all celebrated what matter the date is, but there is another reason to cheer up the people of NASA and the Americans on Juno reaching the Jupiter. Juno is at Jupiter says the NASA’s administrator Charlie Bolden. This is the most awaited reason for the NASA to celebrate about their mission which is going boldly where no spacecraft has gone before. With this mission NASA is going to investigate the unknown facts about the Jupiter’s massive radiation belts to look into the deep planet’s interior. While this will also help how Jupiter was born and how the entire solar system was evolved. The successful confirmation about the orbit insertion was received from Juno tracking data which was monitored at the navigation facility at NASA’s Jet Propulsion Laboratory – JPL in Pasadena, California and as well as at the Lockheed Martin Juno operations center in Littleton, Colorado. While the telemetry and the other tracking data details were received by NASA’s Deep Space Network antennas in California, Goldstone and Canberra – Australia. Scott Bolton, the principal investigator of Juno from the Southwest Research Institute in San Antonio was all excited about the great mission, the great team and great spacecraft did and expresses him by saying that this is the one time he don’t mind being stuck in a windowless room on a night of July 4th. While the preplanned events leading up to the orbital insertion engine burn included the changing spacecraft attitude by a point to main engine in the desired direction and then increased the spacecraft’s rotation rate from 2 to 5 revolutions per a minute (RPM) to help stabilize it. The burn of Juno’s 645-Newton Leros-1b chief engine has begun on time at 8:18 p.m. PDT (11:18 p.m. EDT), declining the spacecraft’s velocity by 1,212 miles per hour and 542 meters per second allowing Juno to be captured in orbit around Jupiter, this happened almost immediately after the burn was completed. Juno turned so that the sun’s rays might once again arrive at the 18,698 individual solar cells to give Juno its energy. The spacecraft worked perfectly; and Jupiter orbit insertion was a huge step and the most challenging mission plan for NASA which was successful. NASA has clarified that there are some more that need to occur before they can give the science team the mission they are looking for. However the next few months are going to be busy months for both Juno’s mission and science teams who are going to perform the final testing on the subsystems of the spacecraft; final calibration of science instruments and on some science collections. The main principal of Juno is to understand the origin and progress of Jupiter. Juno will further investigate the existence of a rigid planetary core, map Jupiter's deep magnetic field with the help of its suite of nine science instruments. These instruments help to measure the amount of water and ammonia in the deep atmosphere, and watch the planet's auroras. This mission will also help the NASA to take a giant step forward in understanding how the giant planets form and play the role in putting together the rest of the solar system. 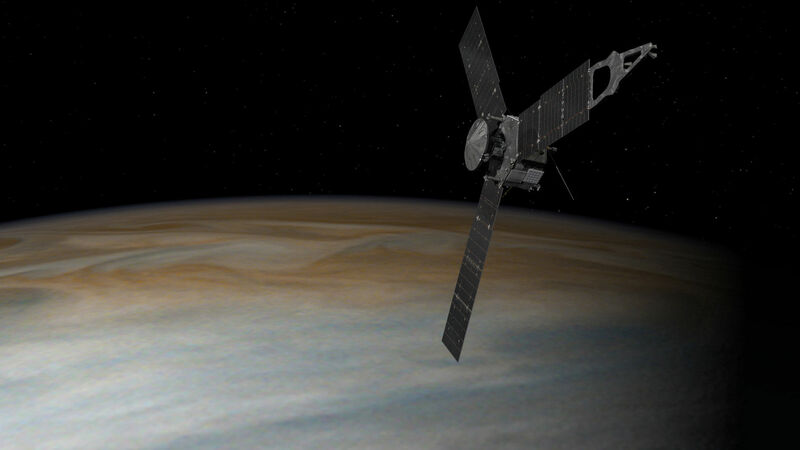 The Juno spacecraft was launched on Aug 5, 2011 from Cape Canaveral Air Force Station in Florida. 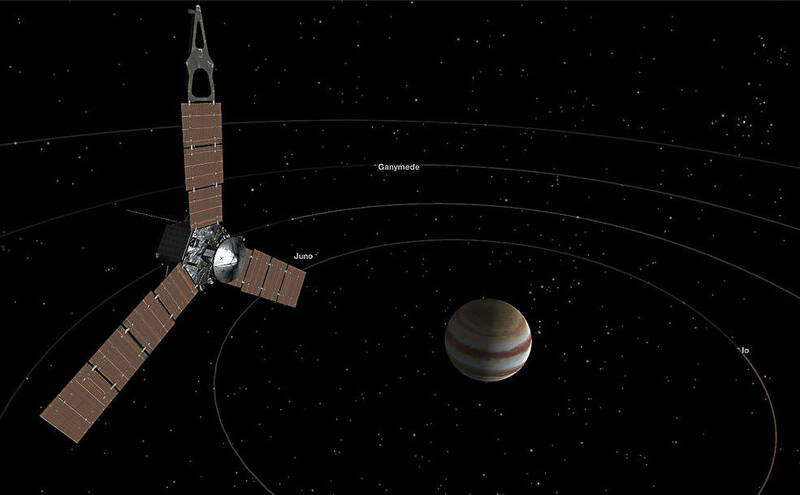 NASA’s Jet Propulsion Laboratory manages the Juno mission. Lockheed Martin Space Systems in Denver built the spacecraft; Juno is part of NASA's New Frontiers Program, managed at NASA's Marshall Space Flight Center in Huntsville, Alabama, for the Science Mission Directorate agency. The California Institute of Technology in Pasadena manages JPL for NASA.